Automotive aftermarket trade shows provide opportunities to network, learn and much more. Thinking of attending a conference or trade show? There are countless reasons why you should! Attending trade shows not only can help you and your career, but also the company you work for. The benefits include opportunities to network, collaborate, gain knowledge, develop skills and prepare for the future. Networking is one of the biggest benefits of attending automotive aftermarket trade shows. Building relationships is easiest in person, and trade shows provide a great way to meet new people and catch up with those you already know. You have the opportunity to meet new customers or business partners and strengthen relationships with existing clients. At a conference, you can meet industry experts and leaders as well as professionals that face the same challenges as you. You might not realize it, but being around so many of your peers in a new environment can even renew your motivation. When you attend a huge event such as Automechanika Dubai, which hosted 30,322 trade visitors this year, the reenergizing effect is only magnified. Greater Middle East, offers the perfect environment for collaboration. Its visitors come from 136 different countries, giving you the chance to meet people from diverse cultural backgrounds and view the industry from new perspectives. It’s crucial to take advantage of discussions with your contacts, because it gives you an opportunity to share your ideas and ask questions. You might even think of new ideas or encounter solutions you weren’t aware of. You can then bring this information back to your company to improve your products, services or systems, and ultimately grow your business. When you watch demonstrations, attend training sessions and visit exhibitor booths, you have the chance to sharpen your skills - or develop new ones! Make sure you take advantage of any training opportunities that are offered across the show floor. 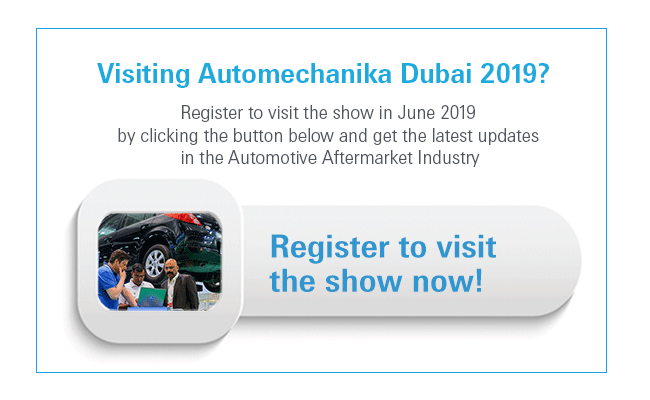 This year, for example, Automechanika Dubai hosted two conferences that covered connected mobility and the future of the regional aftermarket. Informational sessions such as these help you strengthen your weakest areas and prepare to face future challenges. Besides helping you and your company, trade shows can also help your career. You’ll be able to see all the different paths automotive professionals - including you - can take in the industry. This will open you up to future possibilities and help you make educated decisions about your career path. While attending a trade show offers many benefits, what you get out of it depends on what you make of it. If you attend as a passive observer, you might not make that many connections or retain much information. If you get actively involved and focus on what you can bring back to your company, attending a trade show can be a valuable experience.